I had a lovely chat over coffee today with Ali Luke, of Aliventures, an amazingly helpful blog for writers, and author of Publishing E-books for Dummies. 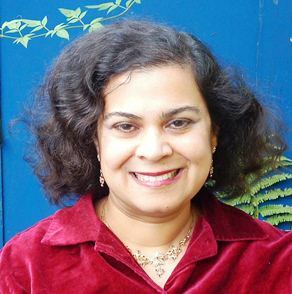 One Ali’s many remarkable adventures –-she is a very gifted, organised, imaginative and entrepreneurial young lady—was losing, and never re-gaining 50 pounds. 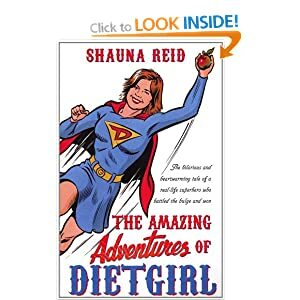 She told me about the blog The Amazing Adventures of Dietgirl, Shauna Reid, who lost 175 pounds, and kept it off. Yeah, that’s the way to do it, view it as an adventure. One of the things that’s most fascinating me is change. How to change; how people change; how to make change stick. I am going to try incremental changes and S.M.A.R.T. goals. Incremental changes have now become second nature to me, now that I have less energy, and have failed in dramatic changes. I was intending to take health, fitness and weight loss seriously and blog about it in January–New Year Resolutions and all that. But why play with a healthy (though overweight) body, and remain in a state of sub-optimal fitness for another 90 days? So I am going to start My Amazing 96 Pound Adventure in 52 Habits today. So I aim to lose ½ a pound a week which means losing the 96 pounds I need to will take me nearly 4 years. The science of weight loss–which, somehow, I never seem to have got into my bones and subconscious–is that calories expended must somehow exceed one’s intake of calories. So here’s how I plan to do it. A) Adopt a new dietary habit each week, while maintaining the old habits, slowly transitioning to a largely fruit, veggie and protein diet with minimal sugar or white carbs. Go on doing this until I am reliably losing ½ lb. a week. If I am losing, maintain the habit. If I fail to lose, or regain, add another small habit or tweak. B) Increase my activity level until I am reliably losing ½ lb a week. I have been walking 5500–6000 steps a day. I plan to increase this by 100 steps a day until I am walking 10,000 steps a day (in 90 minutes of walking). Then add some weights and yoga, while getting more of the steps in the course of housework and gardening. A)Eat a plate of fruit for breakfast. B) Increase my walking by 100 steps a day, so that I am doing 6100–6600 steps a day by October 7. And then another dietary change, and more steps. Will report back on October 7th with a combined What I am Reading (a link post) and a very brief report on my fitness adventure. THANK YOU lovely ladies for your encouragement! This is one of the most sensible 'plans' I've come across in along time! I'm looking forward to tracking your progress. Hugely encouraging. Thanks for sharing! Well done! I like your idea of slow and steady! I've heard that it's good to aim to lose about 10 pounds then stabilize at that weight, maintaining it for a couple of months and then go for losing another 10 pounds. Look forward to hearing how you go with it all! You go! I decided last January that I would lose my extra pounds, which I had never been able to do. It has been a hard battle but by the grace of God I shed 34 pounds since then. I have another 12 to go, but now I know it CAN be done. Diet + Exercise. I joined a website that helped me track calories and exercise. One tip that really helped me break out of my summer plateau was to exercise before eating breakfast. That helped me keep burning those calories.